Hundreds took the streets of Berlin to march for peace and freedom six years after the Syrian revolution has started. The participants called Russia and Iran to withdraw their forces from Syria also as Libanese Hezbollah to do so. They condemned the international community for staying silent while watching the slaughter in Syria which has costed up to 500,000 lives and displaced millions of People. 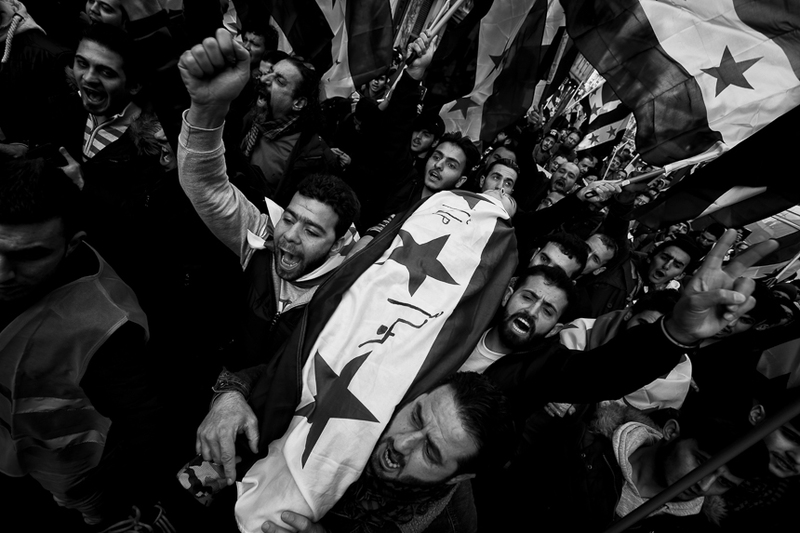 The uprising by the people of Syria started at March 15th, 2011. Find more pictures here: Solidarity with Syria (Flickr album).